Copyright is the exclusive domain of humans. So says the U.S. District Court for the Northern District of California. Oh, and the U.S. Copyright Office, too. A recent appeal made on behalf of haplorhine primates everywhere has failed to extend the law to allow monkeys to be the authors or owners of copyrights in the United States. How and why are we even talking about this? 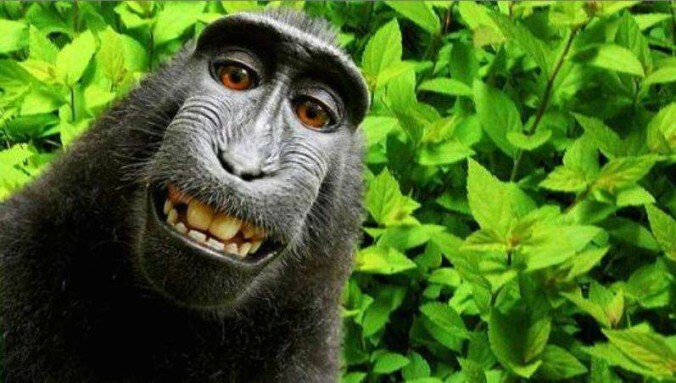 Because in 2011, a monkey in Indonesia took a selfie. The monkey even smiled for the camera! The resulting images created a firestorm for copyright law when the owner of the camera began publishing the monkey’s pictures and asserting copyright claims against others. On September 22, 2015, PETA filed suit on grounds that the camera owner and his publishing company were infringing the monkey’s copyrights. As if that lawsuit was not bizarre enough, it did set the stage for one of the more amusing Motions to Dismiss ever filed in federal court. Nevertheless on January 7, 2016, Judge Orrick granted the Motion to Dismiss and held that a monkey cannot be the owner or author of a copyright. While the monkey, now known as “Naruto,” may not be able to enforce any copyrights, it does raise interesting legal issues to address and consider.